Criselda Dudumashe Lays A Charge Of Domestic Violence Against Her Husband. Once again she becomes a victim of domestic violence in a marriage. Criselda Dudumashe has opened up about the kind of abuse she has been enduring lately at the hands of her husband. Narrating the story on Instagram, the media personality spoke about the kind of emotional abuse she has suffered and when it all started. It seems as if she has dad the last straw after her husband laid his hands with her. 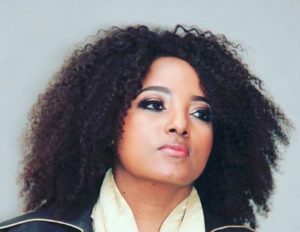 Criselda has taken the matter up with South African Police. Broken into tiny lil pieces…. there’s a thin line between love and hate! Criselda also spoke about the abuse she went through in her first marriage of 19 years. “His hit today was one too many. I have laid a charge of domestic violence against him with SAPS,” Criselda explained. The post Criselda Dudumashe Lays A Charge Of Domestic Violence Against Her Husband appeared first on Youth Village.